Fresh Mountain Air and a Rushing Mountain Stream will be what you will wake-up to in the early morning of a long Summer Day. 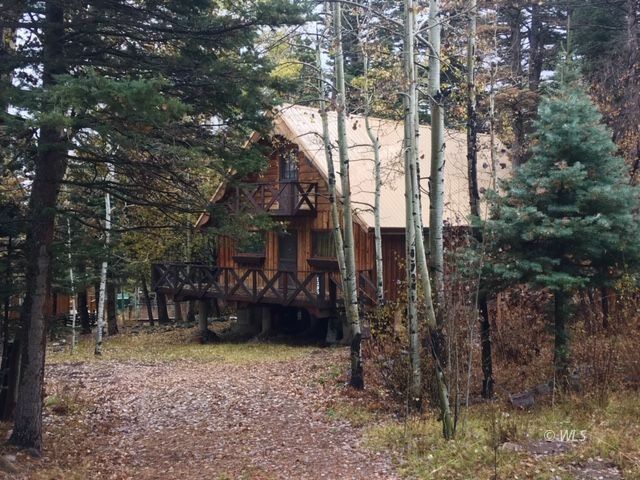 This cabin is perfect for vacations and weekend retreats so gather up the kids, their friends and the family pets and head to one of the most beautiful Mountain Valleys in the State. There are numerous adventures to be had along the trails in the Sangre de Cristo Mountains. If you like to hike, climb, and explore there are plenty of mountains to challenge your skills and endurance. Fishing can be had in a variety of crystal mountain lakes and streams. If Hunting is your passion, elk and deer can be found grazing the canyons and slops of the 13,000 foot peaks. Eight miles from the Cabin is the town of Westcliffe where all the necessities can be found. Browse the shops along Main Street, grab some lunch at the local eateries and take in some of the special events that are offered throughout the summer. Just think about it !! Is it not about time to challenge your senses rather than looking at a cell phone screen or other electronic gadget all day long.